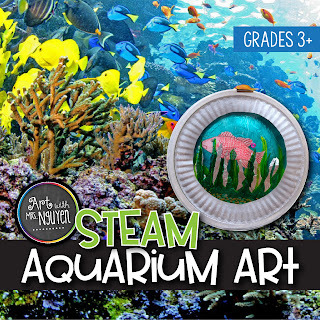 Goal: Students will get to experience a true arts-integrated lesson which connects with science (fish species and habitats), social studies (water bodies in Georgia), and language arts (summarizing and writing). 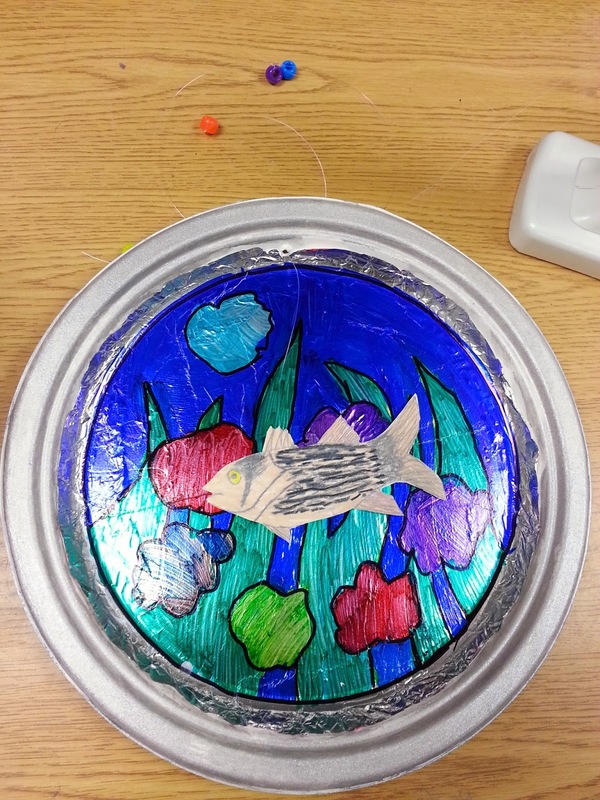 Students will summarize important facts about their fish from a paragraph (language arts), create an aquarium habitat based on what they know about their particular fish's environment (fresh water or salt water), and include a form of camouflage (used to defend against predators). Students will also experience making kinetic art (moving art) and understand what a relief sculpture is (a 3-D piece of artwork which is not meant to be viewed from all sides). On the first day my kids come in we begin by viewing my Georgia Waters PowerPoint. 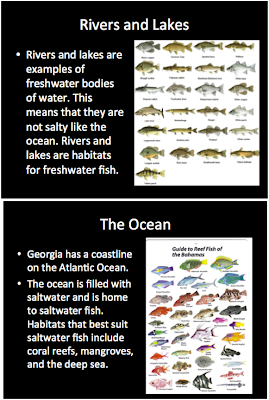 It goes over freshwater vs saltwater and the type of fish that live in each. 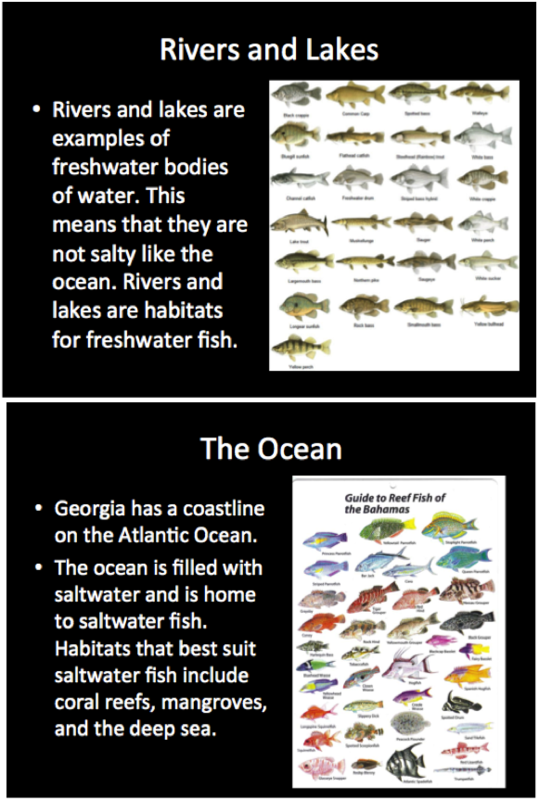 I ask students to tell me what the freshwater fish appear to have in common... and what the saltwater fish have in common. This naturally results in us talking about the color of the fish. 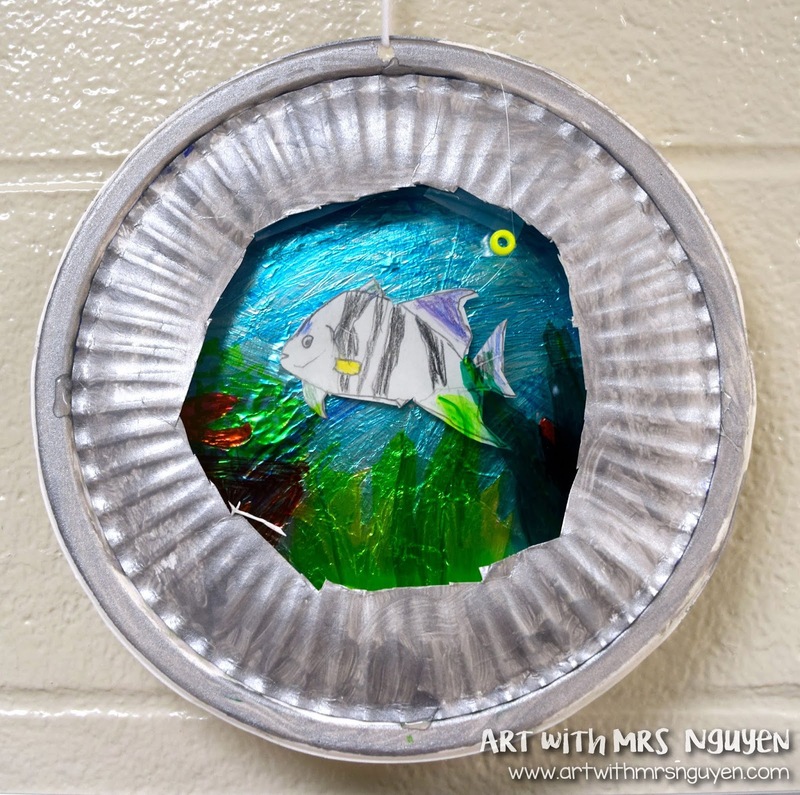 Students notice that the river fish are all neutral colors, while the ocean fish are typically more colorful; then we talk about why they think that is. 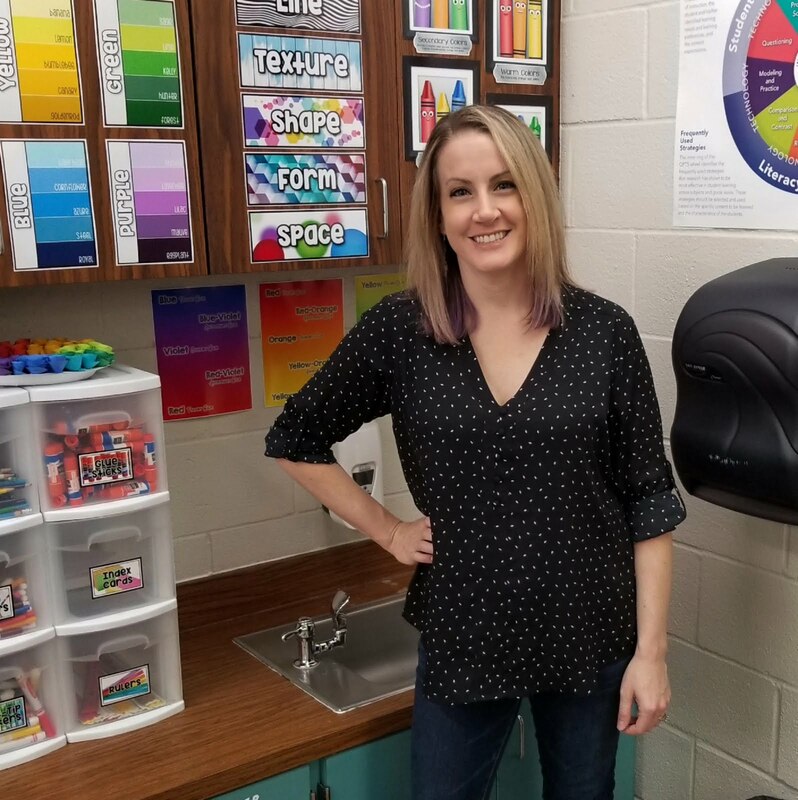 Because my students learn about the regions of Georgia and habitats in 3rd grade, they know that camouflage is often used as a defense mechanism to hide against predators (super smart)! We also talk about why, if all bodies of water typically run into each other, are rivers and lakes freshwater while the ocean is saltwater -- this one typically stumps them. 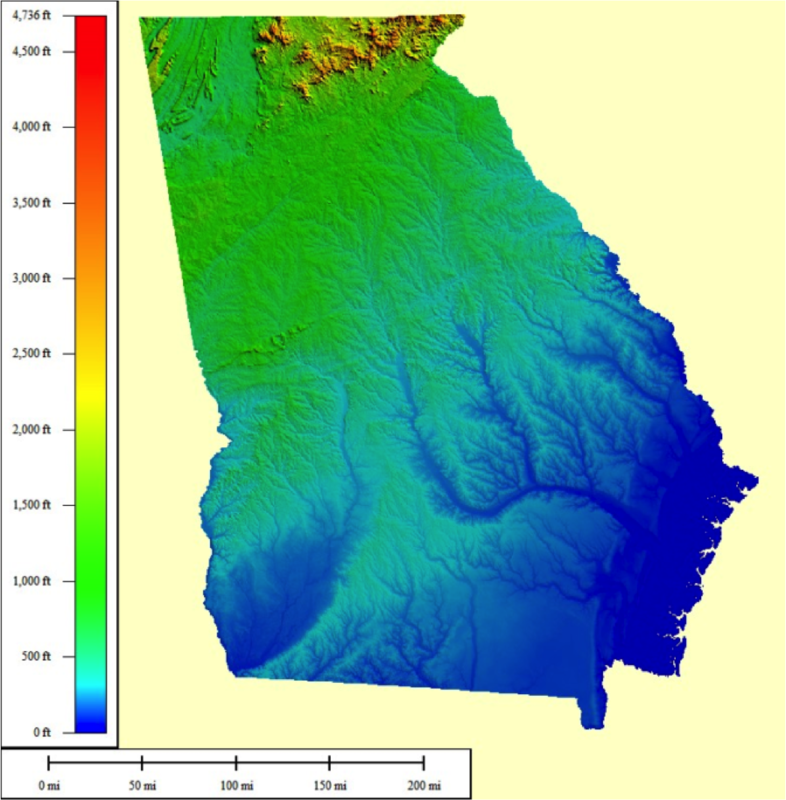 It is because of a variety of factors- two of which are land elevation and the hydrologic cycle (or the water cycle). When ocean water evaporates up into the air, salt does not go with it... so when it comes down as rain over landmasses, it isn't salty - and rain is what feeds rivers and lakes. 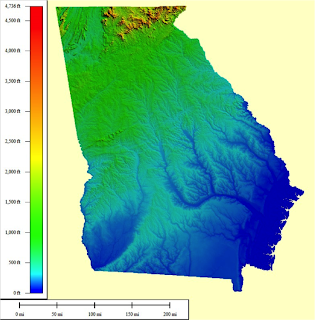 We also look at elevation maps of Georgia and talk about how the gradual downward slope of the landmass causes water to run downstream towards the ocean. As the water travels downstream it erodes the land around it and consequently picks up and carries small amounts of salt which empties out into the ocean. Aquariums are amazing pieces of functional art in and of themselves - and are designed specifically to be looked at (lots of things must be considered in their design). I then introduce students to the aquarium project they'll be working on and have them come up to the front of my room to "go fishing" to determine which fish they'll be focusing on for their aquarium. I put blue butcher paper on my chair (to emulate a higher elevation for rivers) and on the floor (as the ocean) and put a bunch of color fish cutouts on top that have a paperclip attached. Students use a pointer stick with yarn and a magnet on the end as their fishing pole. 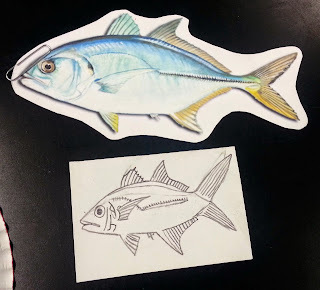 Once they've caught their fish, they go back to their table and draw a picture of their fish on a small piece of paper (3"x5") and color with colored pencil. 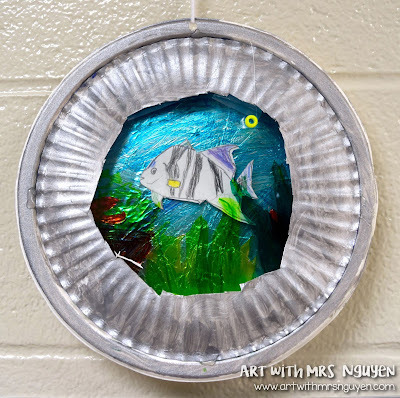 I also give students a heavy-duty paper plate (think Kroger-brand Chinet) that will eventually become the back base of their aquarium. On the back of their fish printout is a written paragraph giving basic details about their fish. Students must read this paragraph, then pull 3 facts from it to write on the back of their paper plate. On the second day, students are given another paper plate (this one is heavy-duty but not Chinet-quality) and a piece of aluminum foil. 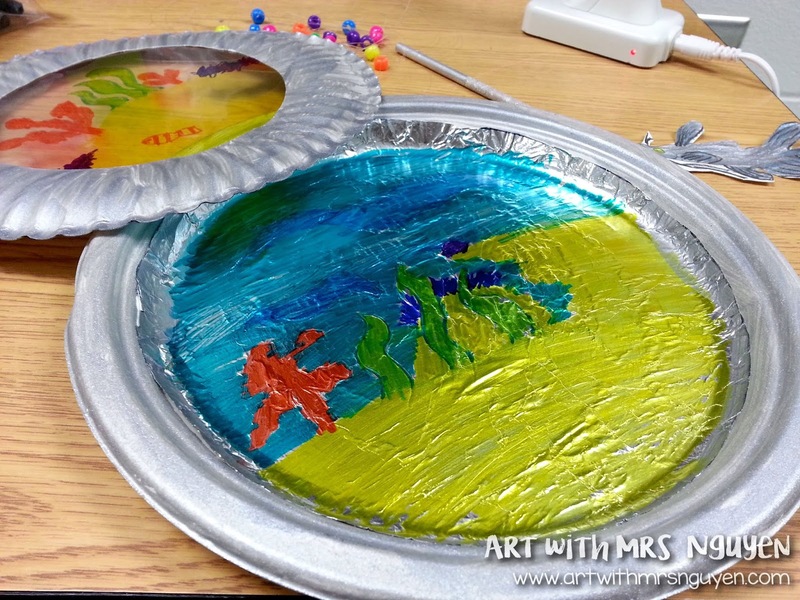 Using their new paper plate, students trace a circle onto their foil then cut it out. Then they add glue (with a glue stick) to the front of their chinet-quality paper plate and place the foil on top. Then using colored sharpies, students color the foil on their paper plate to look like the environment that their particular fish comes from (saltwater or freshwater). 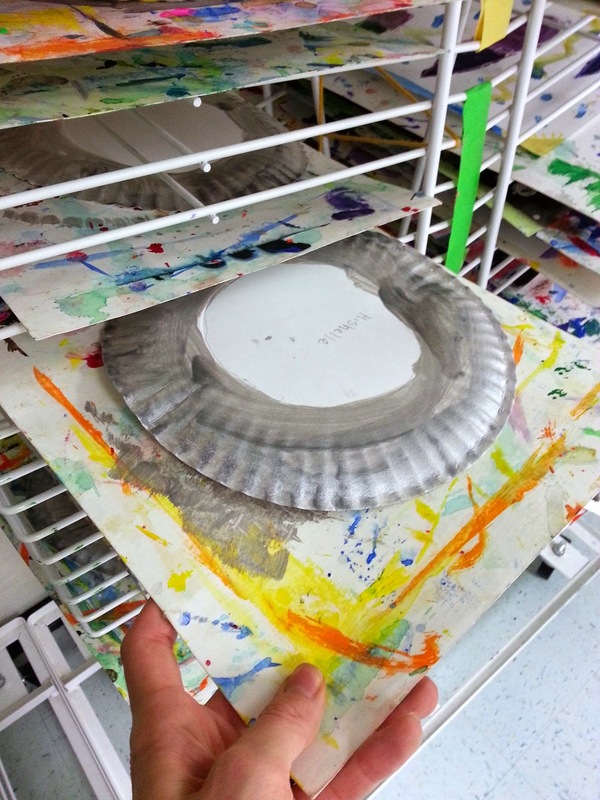 On the third day students come in and use silver tempera paint to color the outside rim of their chinet-quality plate and the outside ring on the back of their regular heavy-duty paper plate (from the center circle to the edge). This then gets set aside to dry until the next class. Once students are done painting, I have them meet me on the carpet and we read the book "Mister Seahorse" by Eric Carle. 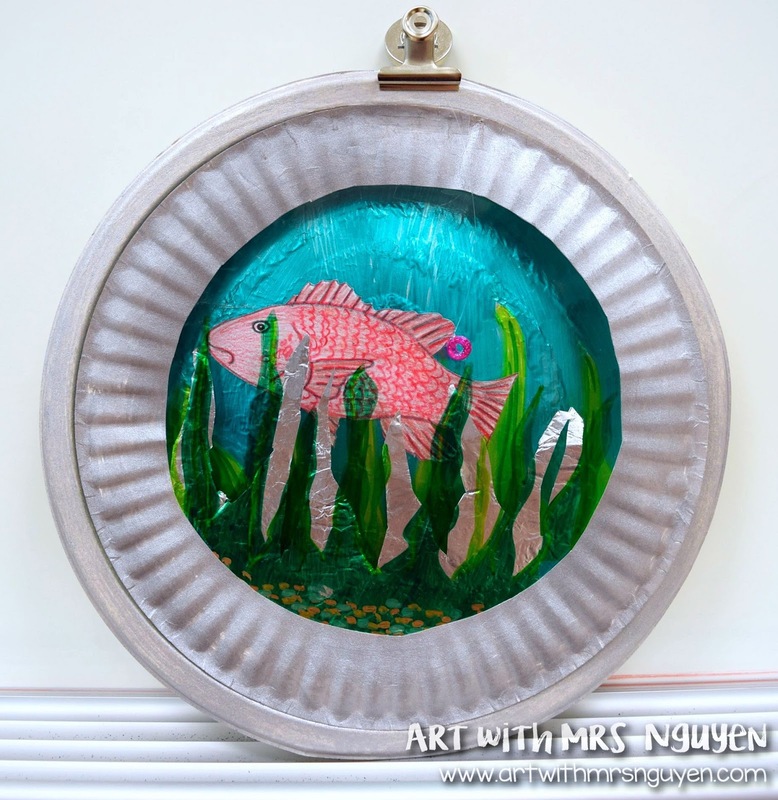 The pictures in the book are a PERFECT compliment to this project as they really illustrate the idea of fish camouflaging into their environments. 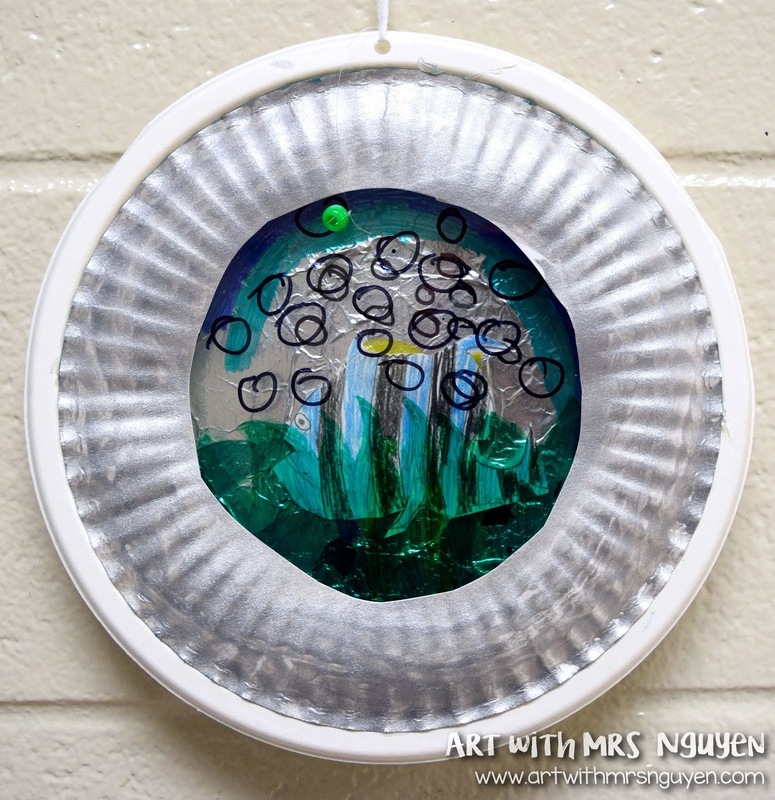 After reading the book I give each student a piece of transparency paper which will become the plastic cover on the front of our aquariums. 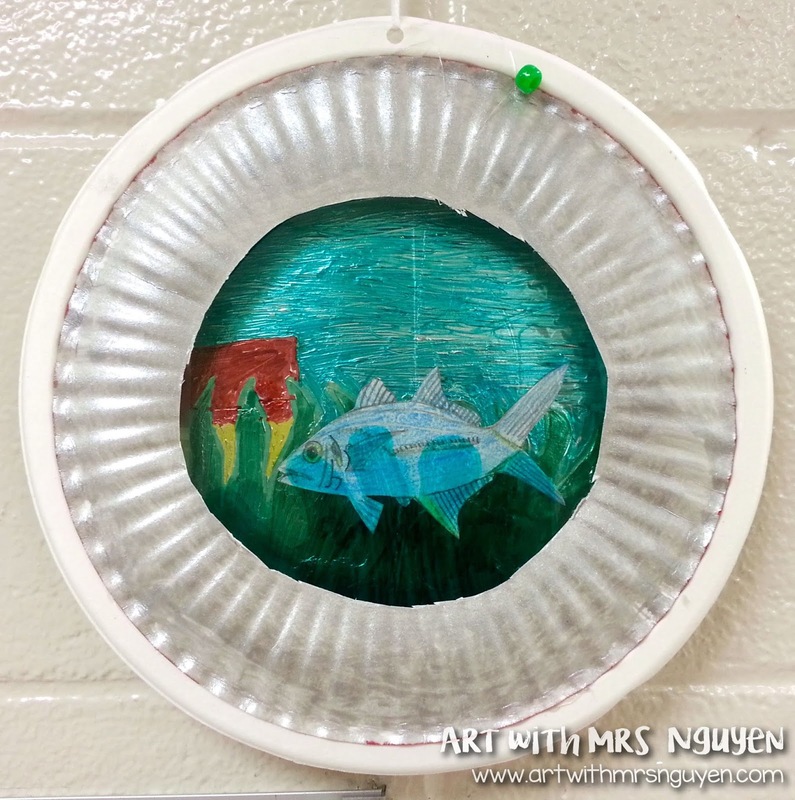 Using a tracer, they trace a circle onto the transparency paper with sharpie, then draw something that their fish could camouflage behind. Before students come in on the fourth day, I use scissors and stab a hole into the middle of their regular heavy-duty paper plate. When they come into class I explain that they will use this hole as a starting place for their scissors to cut out a circular hole in the center of their plate (they cut up to the point where their plate gets its bumpy/wavy texture). Once this is cut out, I have them go back and cut out the transparency paper from the class before, and their fish drawing. Using scotch tape, they attach their transparency paper camouflage onto the back of their remaining paper plate ring. I also give them a piece of fishing line to tape to the back of their fish (probably about 9" long or so). 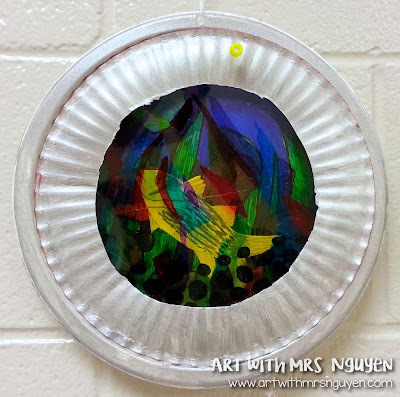 As they are working on all of this, I walk around the classroom and punch a hole into the top side of their chinet-quality plate using a needle tool. Once their fish has the fishing line attached to the back, they string the line through this hole so the other end is hanging outside of their plate. A bead is tied onto this end to prevent the fishing line from slipping all the way back into the plate. On the fifth day students finish anything that they still have to work on. Once everything is ready, they bring all their materials to me and I hot glue the top cover (with the camouflage) onto the chinet-quality plate. ANNNNNNDDDDDD DONE! If you are interested in purchasing the full lesson with all the necessary resources, please check it out in my store!